HGST is buying its way into object storage by acquiring Amplidata, a start-up whose technology is OEM’d by Quantum as its Lattus product and included in StorNext. HGST is developing an active disk-based archiving array, powered by Amplidata Himalaya software and using HGST shingled magnetic media drives. Initial revenue shipments for the Active Archive platform are expected in the first half of 2015. Related to this engineering development, HGST had become a strategic investor in Amplidata through parent Western Digital. It added: "We are vertically innovating across the entire stack to create solutions with significantly higher value than standalone devices." CEO Steve Milligan had a canned quote ready: “The acquisition will support our strategic growth initiatives and broaden the scope of opportunity for HGST in cloud data centre storage infrastructure." HGST President Mike Cordano added a little flesh to this bone: “For applications requiring massive, peta-scale capacities, software is essential to providing scalability, resiliency and efficiency. 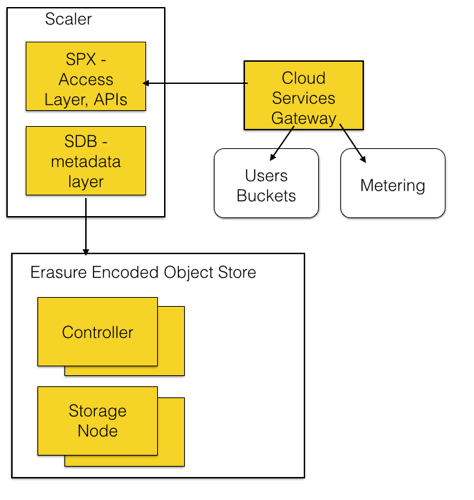 Amplidata is a leader in software defined storage technology for these scale-out systems and together we will accelerate development of the Active Archive platform to meet the demands of our data-centric world."